Singpost a company that most investors are familiar, but many sold too early before Alibaba taken share of the company and missed the big trend. 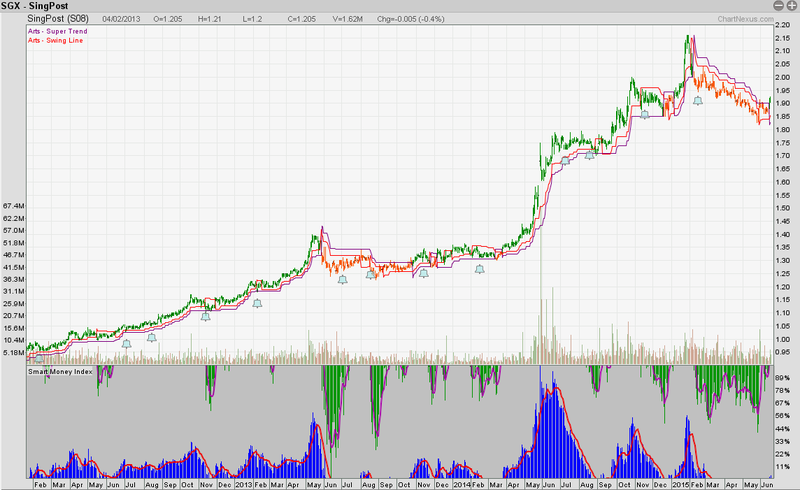 Singpost on our chart show that they have proven track record of making good and big trend when our Candlestick turn green. 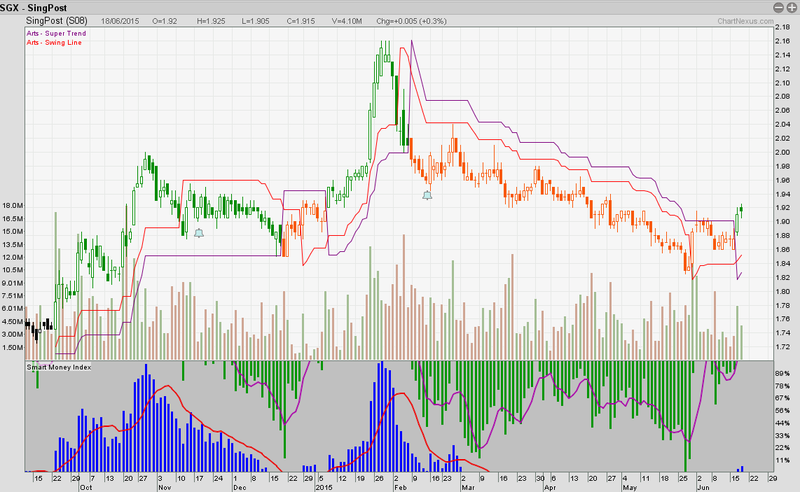 Some trend can move for more than 6 month. 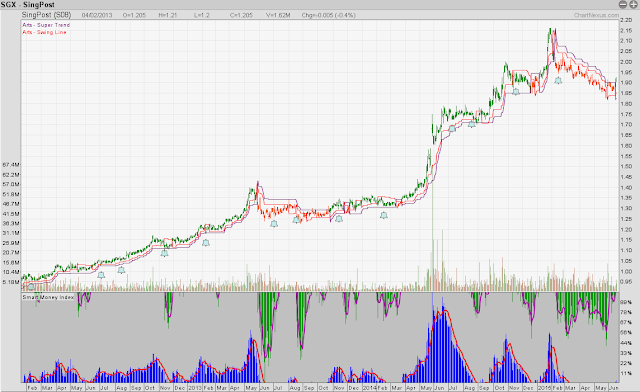 On the bigger picture on the chart above, Singpost is definitely an uptrending stock for the past 3 years, Outperforming STI. On a shorter term, Singapost already corrected for more than 3 month, now our system show sign of reversal, orange candle turn green, signaling that mid term there might be a trend change. Lets see!